Models suggest our closest star could host a habitable planet. In August 2016, astronomers thrilled the world by announcing the discovery of a planet orbiting our nearest stellar neighbor, Proxima Centauri. This star — a mere 4.25 light-years away from Earth — is the closest star that’s not our sun. It lies within the so-called Goldilocks zone, not too hot, not too cold, which has led astronomers to wonder whether the planet, Proxima B, could support life. In a study published Monday in the journal Astronomy & Astrophysics, a team of UK-based astronomers and physicists simulated what the atmosphere of Proxima B might be like. Using the Met Office Unified Model, a climate model that’s been used to study Earth for years, they found that — if their assumptions about the planet’s orbit are correct — Proxima B could indeed possess liquid water and a habitable atmosphere. Ian Boutle, an honorary fellow at the University of Exeter in England, says his team’s latest findings are encouraging. As Earth-like as it may be, Proxima B is not Earth. So to use a climate model that was made for Earth, researchers had to make some adjustments. And since these adjustments depend on some unknown factors, the scientists developed a couple of different simulations that predict what Proxima B’s atmosphere would be like under different conditions. With these simulations, which combine different orbital states and atmospheric concentrations, they determined that it’s likely that Proxima B is habitable. If Proxima B is tidally locked with an Earth-like atmosphere, scientists predict its star-facing side would have a high temperature of about 290 Kelvin, which is about 62° Fahrenheit. This is just one of many possibilities, though. Despite sitting in the Goldilocks zone, Proxima B is at the whims of some significant environmental conditions that could make the question of habitability a lot more complex. Orbital eccentricity, the effects of radiation from Proxima Centauri, and tidal locking all conspire to complicate the issue. For instance, the effects of stellar radiation could destroy any potential ozone layer around the planet and even evaporate water and CO2 on the surface or in the atmosphere. 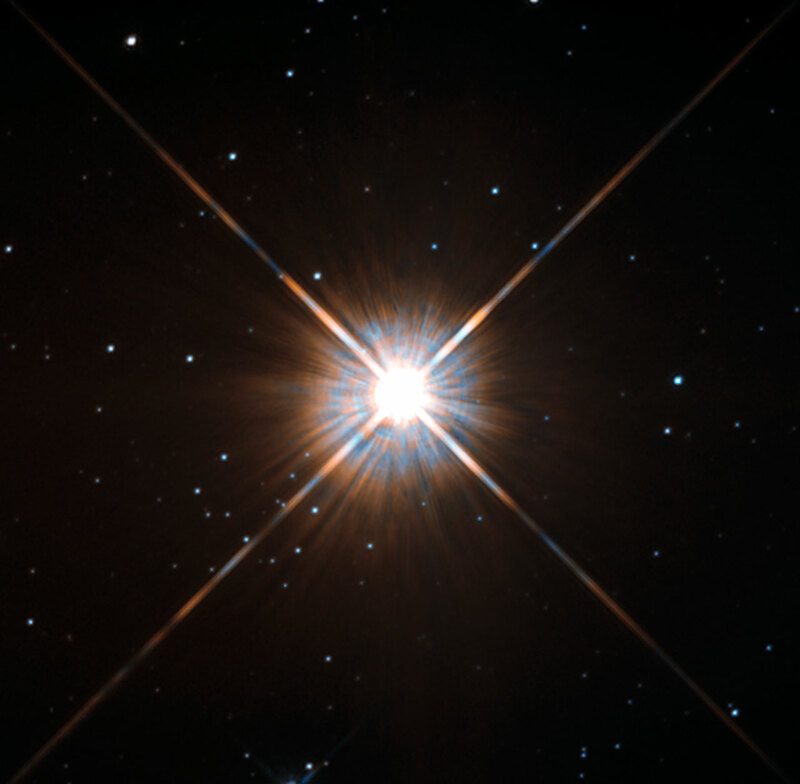 Combined with the possibility that Proxima B is tidally locked, which means that the same side is always facing its star, this could mean that Proxima B’s surface is hostile to life. And what about orbital eccentricity that places the planet at varying distances from its star? Forget about it. Earth’s atmosphere is ideal for humans and other living things because, well, we evolved to survive in it. We breathe oxygen, while carbon dioxide and other greenhouse gases trap heat so Earth remains a survivable temperature. Carbon dioxide also supports plant life, in turn replenishing oxygen. The ozone layer formed by the atmosphere prevents too much harmful radiation from killing us. The water vapor trapped by our atmosphere supports all forms of life. Earth’s atmosphere has developed over billions of years into the perfect life support system. Immeasurable random chance occurrences happened over this timescale, leading to the Earth we know. So why do scientists researching the habitability of other planets focus on finding an atmosphere that’s similar to Earth’s? What are the odds that another planet could possibly be anything like Earth? In short, it’s for the sake of simplicity that astronomers look for planets that are comparable to Earth. Recognizing the huge range of possible forms that life can take, scientists use a model that starts with parameters roughly similar to Earth’s, then changes things from there. For the purpose of this study, they changed possible atmospheric compositions, orbital configurations, and rotational periods. Under a range of conditions that included tidal locking, eccentric orbit, and a resonance of three spins for every two orbits, the researchers concluded that it’s highly likely Proxima B’s atmosphere can support life. Of course, the range of temperatures and atmospheric conditions mean that this life might be microbial rather than human. Under the conditions modeled in this study, CO2 would be at levels similar to those on Earth, meaning that the greenhouse effect would help maintain the planet’s temperature at a relatively stable level. “We found that moving to an eccentric orbit resulted in more of the surface potentially being habitable,” Boutle says. “We also showed that the climate itself may well be very stable — meaning that small changes in the orbit etc., don’t actually alter the surface temperatures that much.” If this is true, it could mean that Proxima B’s atmosphere is resilient in the face of deviations from the parameters described in the study. To temper all this excitement, it’s worth noting that there has been a lot of scientific speculation about Proxima B, including the possibility that it’s covered in one big ocean. Until NASA decides to send a probe to do a flyby observation, studies like this one will remain educated guesses. Abstract: We present results of simulations of the climate of the newly discovered planet Proxima Centauri B, performed using the Met Office Unified Model (UM). We examine the responses of both an ‘Earth-like’ atmosphere and simplified nitrogen and trace carbon dioxide atmosphere to the radiation likely received by Proxima Centauri B. Additionally, we explore the effects of orbital eccentricity on the planetary conditions using a range of eccentricities guided by the observational constraints. Overall, our results are in agreement with previous studies in suggesting Proxima Centauri B may well have surface temperatures conducive to the presence of liquid water. Moreover, we have expanded the parameter regime over which the planet may support liquid water to higher values of eccentricity ( 0.1) and lower incident fluxes (881.7 W m^-2) than previous work. This increased parameter space arises because of the low sensitivity of the planet to changes in stellar flux, a consequence of the stellar spectrum and orbital configuration. However, we also find interesting differences from previous simulations, such as cooler mean surface temperatures for the tidally-locked case. Finally, we have produced high resolution planetary emission and reflectance spectra, and highlight signatures of gases vital to the evolution of complex life on Earth (oxygen, ozone and carbon dioxide).